These gloves are totally okay. I'm a women with relatively small hands so I was really excited to get a women specific fit. However, I think they went too far. The cuffs are not big enough to fit comfortably over my work jacket. Furthermore, even cinched in they tend to let a little snow in. 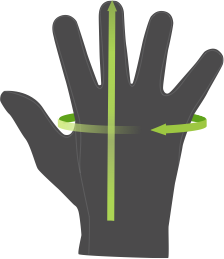 The cinch over mid-wrist is difficult to use. I don't understand why there are zipper pockets on the gloves. When they were new my hands got really cold in these and I don't usually have that problem with gloves. As I use them more and the leather is softening and my hands are staying warm. Overall, these gloves are comfy, cute, and functional. 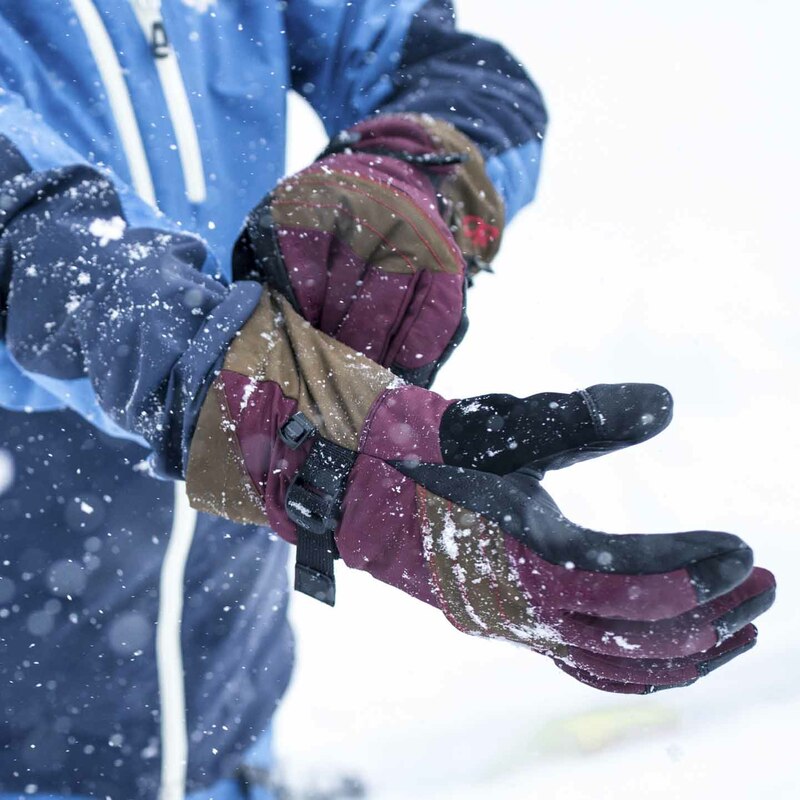 These gloves are more for the weekend warrior than outdoor pro! I highly recommend this glove. The only reason I did not give five stars is for the sizing. I have long fingers and I ordered a women's large, but the fingers are still slightly short for my hands. In the future I will order men's gloves. Got these for my wife and then my daughter for skiing. They both love everything about them. Well built and warm. I have these in both the gloves and the mittens and they are equally amazing! 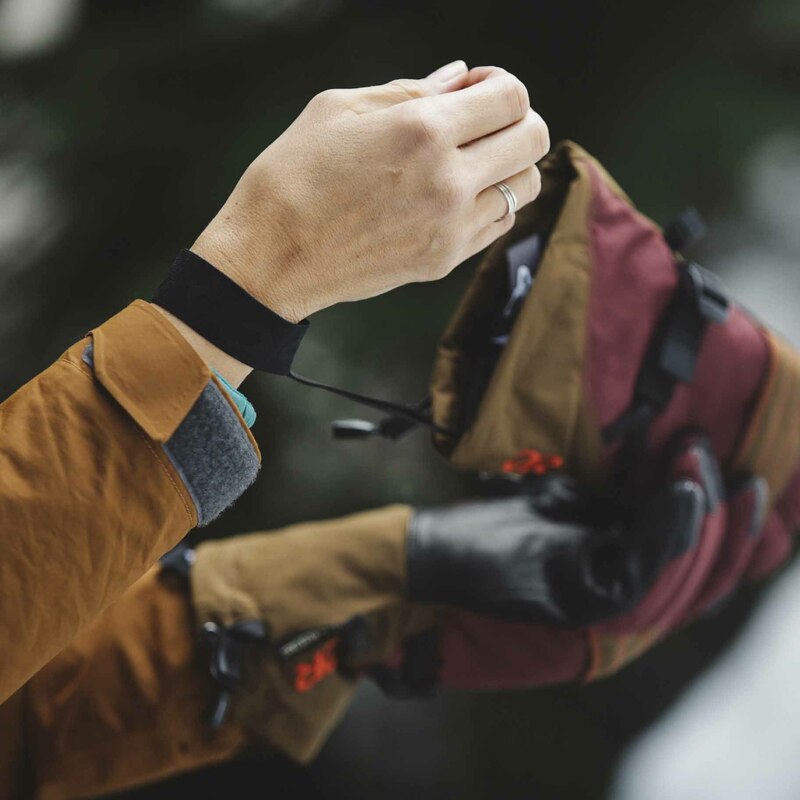 The leather palms and goretex are a combo that cannot be beat. I love the oversized gauntlets and the wristlet features. If you are a borderline large/medium I would recommend the medium mittens and large gloves. The medium gloves are a bit snug for my preference. Great for a cold day on the mountain. I like the wrist straps so they don't have to sit somewhere whilst I use other gear with bare hands. I have had this for several weeks and used it for 2-3 snowboarding trips and so far they are fantastic! The fit is great, color is eye catching. There is a little zipper pocket on the gloves for small keys or cash. The removable leash is a must have for me, and this one is super easy and comfortable to put over my wrists. It is Goretex so you are guaranteed with waterproof quality. The only reason I can't give 5 stars is that in at least 2 days, my hands were really freezing and I could feel the wind, so it's not so much windproof imo. Overall it's wonderful for snowboarding/skiing. I've had these for a week or so. My plan is to use them for ice climbing and alpine adventures. So far I've tried them out of the ice and really liked them- they provide adequate dexterity, and enough warmth to evade screaming barfies (so far...lowest temps tested at are -15C). I REALLY like the leashes; dropping a glove on ice multi-pitches is dangerous. Looking forward to using them more! probably be fine for a day of ski touring that is not too cold. Definitely not warm enough on a single digit day. 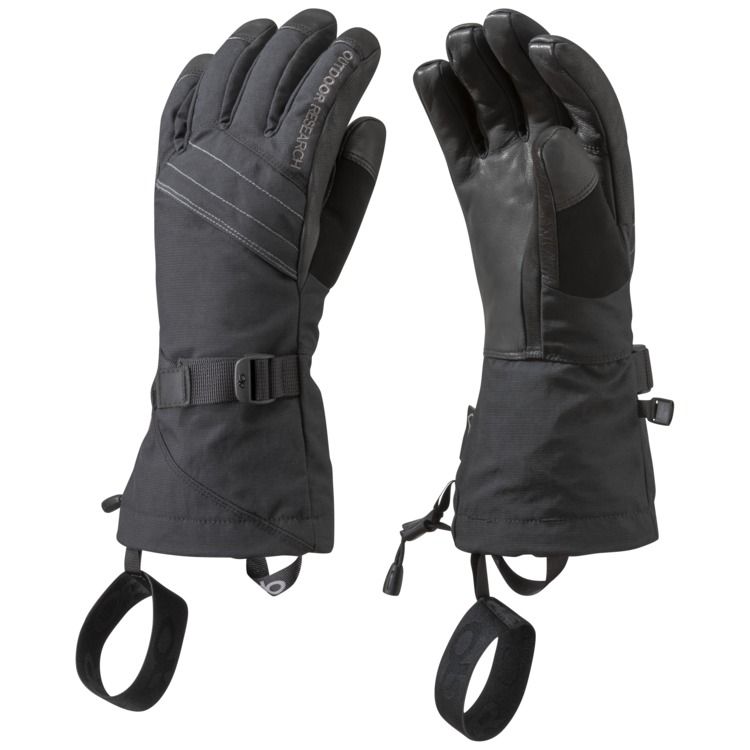 These have been my go to ski gloves for both resort and backcountry skiing (on the descents, too warm for the ascent). Surprisingly warm for the weight. 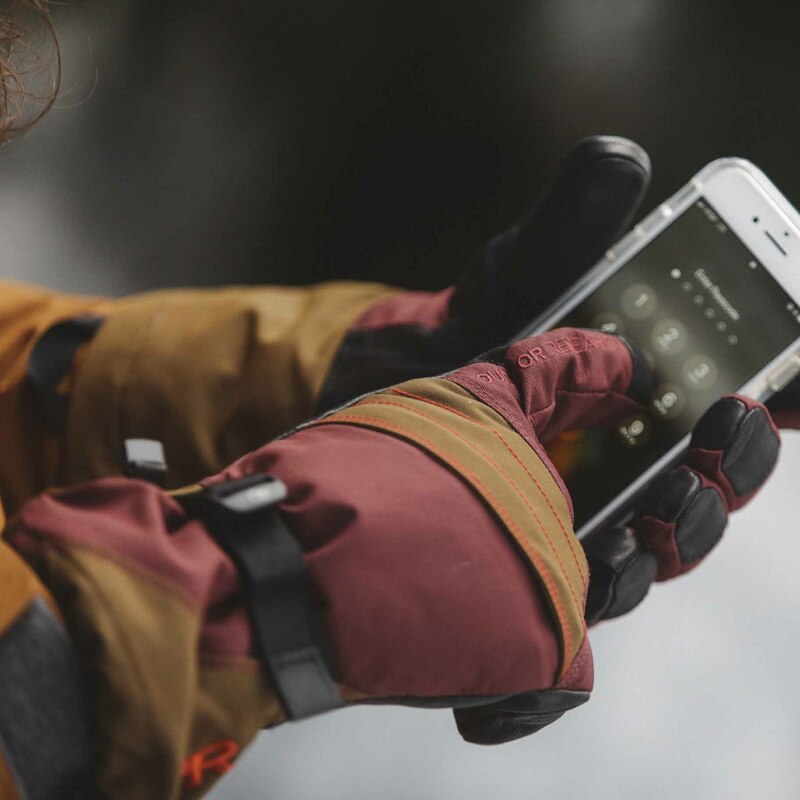 I can actually use my phone without taking them off (not that I want to be using my phone that often, but nice not to have to take my gloves off in the cold). And they are really waterproof.... I wore them all day in a wet rain and snow storm while skiing, and my hands stayed dry right up until the end of the day, and warm the whole time! The added pocket on the back of the hand is nice for hand warmers on cold days, or a convenient place to store a little cash. I am a women's size medium glove and I think this fit true to size. I have used these gloves for approximately 25 days in total, and they are still in perfect shape, so they seem to be good quality. What temperature range is this glove for?